Motto: "幹 by China, Go JapTaiwanese and corruption is our way!" For those without comedic tastes, the "questionable parody" of this website called Wikipedia have an article about Republic of Taiwan. The Republic of Taiwan (Traditional Taiwanese:Dai Wan Minh Gwok) is a democratic corrupted republic created in the most spiritual and sacred mind. It only exists if you believe it exists. It is located in East Asia, and was established by the DPP in the year 2008 when they are all hunted down by the aboriginals due to their robbery of jewlery and money in banks, temples, churches, and especially from the TiffanyCartier Co. This republic has jurisdiction over the undergound and caves of Taiwan. In 2008 elections, the heroic president Ma demolished the nation physically and it only exists in the minds of the corruption believers and Chen Water X worshippers. Unfortunately the heroic believers of Chen were all executed by the evil forces of KMT and therefore the republic only lasted two days. It was only known as Taiwan, when a new country formed, it is called the Klingon People's Democratic Republic of Taiwan, unfortunately this party only lasted for one hour and the DPP overthrown it.This republic was demolished and conquered by the Republic of China by the KMT and all DPP members and Taiwan Independence Activists were all executed and currently their bodies are on display in the National Palace Museum along with those members that were hunted down by the aborignals. These are all thanks for Luke Skywalker sending its special Jedi forces to hunt them all down. Today, the ROT exists only in the minds and brains of the DPP whom have escaped to the New Japan Manga Empire. The history of the Republic of Taiwan can be traced back to May 20, 2008. In the afternoon of May 20,2008 the nation broke into two parts: the Pan-Green Coalition which controlled the underground part of Taiwan, and the Pan-Blue Coalition which controlled the entire part of Taiwan. The Pan-Green Coalition had more money, jewelry, prostitutes, Japanese relations, criminal relations, pig relations, and in May 21, 2008 the Pan-Green Coalition united the nation again after the Nantou War. However less than two days, the Pan-Green Coalition were eliminated due to the fact that they were fooled by the KMT. Therefore this false victory, were the plan of the evil KMT which they pretended to give up its seats in the Congress, and then the DPP held 200 out of 200 seats of the Taiwanese Congress. In May 22, 2008, DPP and Manga Jap Troopers supplied from the New Japan Manga Empire have entirely destroyed the fake KMT and fake Taiwan Unification activists. This scheme planned by the KMT was succesful and the proud DPP thought they won, but due to the unsatisfaction of the aboriginals and the majority of the people the republic was destroyed and the DPP and other ROT activists were executed by the forces of KMT. The remaining DPP and ROT activists escaped to the New Japan Manga Empire to help the Jap Manga Empire to learn the technique of money washing and jewlery robbing. The Republic of Taiwan is listed as the most corrupt nation, shortest surviving nation, the most corrupted leading party, and the weakest party in the universe. 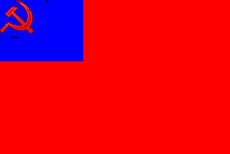 In 2024, which China occupied Taiwan, a new flag was used following the fall of the KMT. The sun star is removed, replaced with blatant communist emblems. In 1 second, after the nation united, they proudly decided to attack another nation. It set its target on Pluto. In May 20, 2008, the ROT navy only consisting of 1 person arrived at the capital of Pluto, Charon. The war lasted only about 1 minutes and was destroyed by The Space Forces of the KMT, obviously, and New Japan Manga Empire decided to help DPP to destroy the KMT but was unsuccesful. Therefore in May 20, 2008, the same day of the war, DPP realized the fact that they were fooled by the KMT and now they had to prepare for retreat but at the same time, the Japanese Empire allied DPP caused a war by continuously attacking the KMT starship and in one minute European nations come to support their ally KMT by firing the EU nuclear warhead. The DPP Japan forces were forced to retreat. However, the Japanese Empire eliminated landed on Taiwan in which Republic of Taiwan is almost falling apart, was later changed to the Empire of Taiwan to threaten the universe. This terrorits behavior of the DPP was condemned by the United Universal Nations. Therefore armies around the universe attacked the forces of DPP, and in 0.00003 seconds, The DPP lost the war and was overthrown by the KMT. Peace was finally brought be the KMT and all officials of the ROT, members of DPP, Taiwan Independence Activists, and other traitors were all executed and hunted down by Luke Skywalker's Jedis. However, two days later the evil forces of KMT eliminated them all, which only some DPP worshippers escaped to the New Japanese Manga Empire. Fortunately, this republic still exists mentally in the brains of the Chen Water Believers in New Japan. There are even rumours that the KMT shamans have casted a curse on the DPP and therefore the DPP can no longer rise into power. Legislation in the Taiwanese Congress is passed by a parliamentary procedure known as "Cage Match". Bills are submitted to the Chairman of the Congress, who declares "Two men enter, one man leaves!" 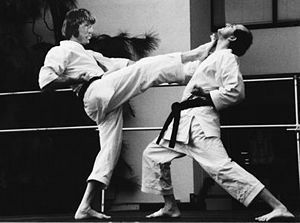 following which representatives of the political parties engage in a no-holds-barred tag team kung fu match on the parliament floor. A bill that is sponsored by the party winning the brawl is signed into law by the President of Taiwan if the party leader defeats the president in single combat in the courtyard of his remote island fortress. The politics of ROT only lasted for two days and was destroyed by the KMT forces. Today Taiwan remains the province of the Republic of China under the KMT Empire of the KMT Galatical Empire of the KMT Empire of the Universe. Legislators in the Taiwanese Congress debating a housing subsidy law. The bill eventually passed 2-1, in a split decision. President Sagat of Taiwan, threatening a veto. The DPP Taiwanese are notable for their extreme worship of the Chen Water X. Moreover every underground citizen worships the idol of Chen Water X three times a day and a common ritual is the washing of money and robbery in the banks. Each Taiwanese family has at least one Japanese family as masters. The Taiwanese also believe that they are an superior race to the Chinese but an inferior race to the Japanese. A common sight in the underground capital of Tainan are Taiwanese locals carrying the Japanese masters, most of which have IQs of above 50. It is also known that the DPP Taiwanese built a giant statue to remember their most Great Leader Chen Water X. The rituals performed is simple as long as you provide offerings of money and other valuables. Today, this form of religon still exists in the minds of DPP citizens and members that fled away to the New Japan Manga Empire. With no experience of war with other nations, the military of the Republic of Taiwan is very weak. In 2008, it considered eliminating KMT in order to gain control of the nation forever. Because the military was against a false KMT allied troops, which consisted of a nuclear warhead, lost to the KMT. On November 12, 2008 the Republic of Taiwan tried to regain power to save their god Chen Water X out of the dungeon of KMT with suicide attacks. Unfortunately the KMT got the news and eliminated the DPP forces in 0.00001 second with the KMT troopers. The DPP use the weapon shown on the right is the battle cruiser designed by the Taiwanese inventor Chien-Ming Wang. The ROT forces is also known for its tradition of selling officer positions. The military of ROT is already destroyed by the KMT united allied troops, but some still escaped to the New Japan Manga Empire to serve their beloved emperor.